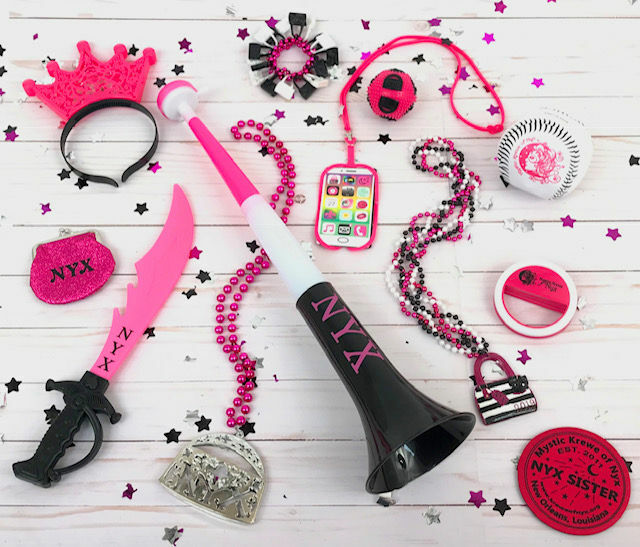 Rain chances have increased for Wednesday night when the female superkrewe of Nyx rolls on the traditional Uptown parade route in New Orleans. Forecasters with the National Weather Service in Slidell now say there’s a 50 percent chance of rain at 7 p.m. when the parade starts rolling. The Ancient Druids parade rolls at 6:30 p.m., also with a 50 percent chance of rain. Rain chances of at least 50 percent stick around until 6 p.m. Thursday, just in time for Muses. When Muses starts rolling Thursday night at 6:30, there’s a 30 percent chance of rain. The good news for Nyx is the heavier rain and greater chance of thunderstorms is during the day Wednesday. Thunderstorm chances taper off around noon Wednesday, and rain chances drop from “likely” to “a chance of rain” at 6 p.m. Temperatures should be mild Wednesday night, with the National Weather Service predicting 66 degrees to 69 degrees. Absolute mess of a weather pattern. Very wet conditions, but fortunately the rainfall is spread out over time and space ... Conditions expected to remain wet especially for south shore areas today. The strongest instability is slowly moving east and offshore this morning. This is also where the most vigourous supercells are located at the moment. ... Most of tonight’s rain looks to stay farther north than where it is occurring this morning.